In accordance with the demand for products in the cosmetic industry, MAME has facilitated the purchase of a wide range of products that are most popular in the industry. Utmost attention to quality and safety has been given to the products in this category, with a clear understanding of the importance of purity and safety products. After all, these products are for human consumption. Calcium carbonate, or precipitated chalk, is an excellent addition to mineral make-up products for those of us with really oily skin. Occurring naturally in rocks as minerals – calcite and aragonite, and in shells of mollusc sea creatures such as snails and pearls, Calcium carbonate is abundantly found in the environment. Talc has many uses in cosmetics and personal care products including as an absorbent, anti-caking agent and to improve the feel of the product. Classified as a mineral, Talc consists of hydrated magnesium silicate. Naturally, it is found as fibrous masses, foliated masses and on rare occasions, in its purest crystalline form. The structure of talc crystals has a well-cut basal cleavage. Talc is one of the softest, smoothest minerals known. Although it is not soluble in water, it can be dissolved in dilute mineral acids. Talc has applications across multiple industries. From paper making to pharmaceuticals, cosmetics and ceramics, talc serves as a structural and finishing element in various capacities. Also acting as a food additive, glidant in pharmaceuticals and as an astringent for baby diapers, talc has endless functional applications. Cosmetics and pharmaceuticals – lubricants, glidants, astringents. Food industry – food additives. Construction industry – counter tops, sinks, ceramic bodies and glazes. Kaolin is used in the skincare and beauty industry in a variety of ways. It is most commonly used in facial masks, but also appears in other products. Kaolin is an absorbent substance. The clay texture of kaolin makes it a popular ingredient in masks as it provides skincare benefits and also acts as an excellent base. 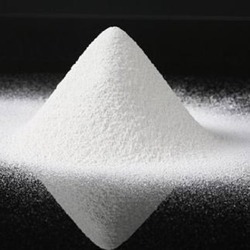 The thickness of kaolin is ideal for holding other ingredients in the mixture and its ability to penetrate the pores makes it a good delivery mechanism for other treatments. A layered silicate mineral in conjunction with one octahedral sheet of alumina and one tetrahedral sheet of silica bridged together by oxygen atoms completely form the mineral Kaolinite. Any rock with abundance of Kaolinite is referred to as Kaoline or China clay. The most valuable properties of this rock are its low shrink-swell capacity and low cation-exchange capacity, making it highly stable and constant under most conditions. By appearance it is soft, earthy, typically off white. The reason for its application is cosmetics and paper making is because of the glossy effect that this product produces. Cosmetics industry – facial masks, soaps, toothpastes. Pharmaceutical industry – medicinal uses. Construction industry – hydration of cement, whitewash. Sodium Carbonate, Sodium Sesquicarbonate and Sodium Bicarbonate are used to control the acid-base balance of cosmetic products. In cosmetics and personal care products, Sodium Bicarbonate may also be used as an abrasive, a deodorant agent, and an oral care agent. Washing soda, soda ash, soda crystals are other names for Sodium Carbonate. Typically, this compound occurs as crystalline heptahydrate, a form that spontaneously effloresces to form white, odourless, hygroscopic powder. 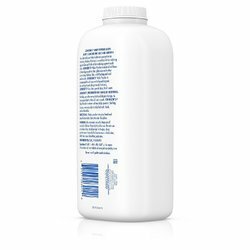 Domestically, Sodium carbonate is popular as a water softener, as it can form a moderately basic solution in water. Additionally, Sodium Carbonate is also used to manufacture glass. This salt acts as a flux or silica and effectively lowers the melting point of the slurry making the process easier to curate. Sodium carbonate can be extracted from ashes of plants cultivated in Sodium-laden soil. Hence the name soda ash, for sodium carbonate. Apart from these, Sodium carbonate also has important uses in the food, chemical and cosmetic industries. Laundry industry – water softener. Manufacturing industry – glass manufacture.